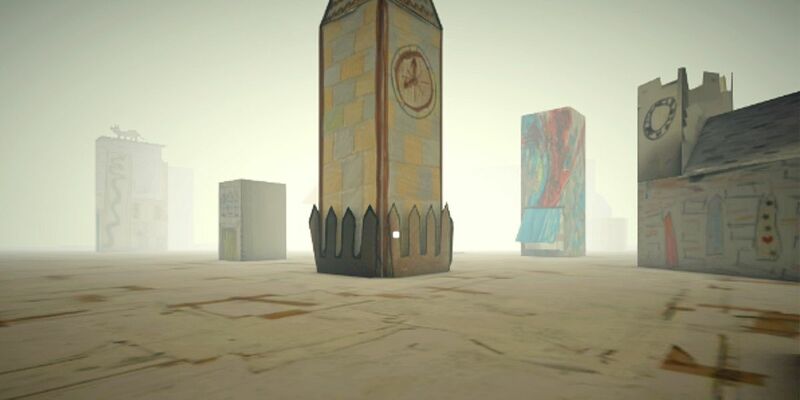 Created by families visiting the Future Aleppo exhibition in August 2018, Future Leicester is a virtual reality environment that lets you walk around a virtual version of the city as imagined by its young people. The buildings are digital recreations of paper models made at the exhibition, with recognisable Leicester landmarks alongside more whimsical designs. Future Leicester is inspired by the work of Syrian child refugee Mohammed Kteish, whose paper and VR model of his home city was displayed in the Future Aleppo exhibition for Journeys Festival International. The VR city also includes buildings designed by young people in workshops at other Journeys Festival events in Manchester and Portsmouth. Future Leicester can be downloaded and experienced on Andriod devices using the Google Cardboard app. Please follow the link below to view the download instructions.